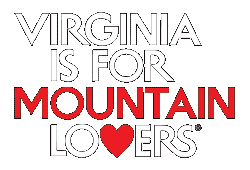 PEARISBURG, Va. (March 8, 2016) – The Appalachian Trail Conservancy (ATC), the Roanoke Appalachian Trail Club (RATC), and the United States Forest Service announce the opening of an approximately 1-mile relocated section of the Appalachian Trail (A.T.) near Pearisburg, Virginia. A ribbon cutting ceremony is planned for Friday, March 18 at the A.T. trailhead near historic Pearis Cemetery along VA Route 100 in Pearisburg. The new route will significantly improve the hiking experience for Trail users. It eliminates two road crossings, is no longer in close proximity to private homes, and hikers can enjoy a gently graded woodland walk between Cross Avenue and Route 100. The Trail now traverses the face of the stone wall from which the Bluff City neighborhood takes its name, and the steep terrain, thriving forest, and views of the New River provide a rich and scenic hiking experience along the new route. The relocated 1-mile section of Appalachian Trail near Pearisburg provides a rich and scenic hiking experience. Construction of the section was a significant undertaking, as the Trail was cut into the side of a bluff and elevated with numerous sections of stone cribbing. The project, which took more than 15 years to complete, represents thousands of volunteer hours from the RATC and the ATC’s Konnarock Trail Crew. Crews from the RATC put the final touches on the footpath. During the ribbon cutting ceremony, Pearisburg Mayor Robert Dickerson will be on-site to officially open this section of the A.T. In 2011, Pearisburg was one of the first trailside communities to be recognized by the ATC as an official designated A.T. Communityä. For more information about the ribbon cutting ceremony, contact Kathryn Herndon at 540.904.4316 or by email at kherndon@appalachiantrail.org. The ATC was founded in 1925 by volunteers and federal officials working to build a continuous footpath along the Appalachian Mountains. A unit of the National Park System, the A.T. ranges from Maine to Georgia and is approximately 2,190 miles in length. It is the longest hiking-only footpath in the world. The mission of the ATC is to preserve and manage the Appalachian Trail – ensuring that its vast natural beauty and priceless cultural heritage can be shared and enjoyed today, tomorrow, and for centuries to come. For more information, please visit www.appalachiantrail.org. For more information or to schedule an interview, please call Javier Folgar at 304.885.0481 or e-mail jfolgar@appalachiantrail.org.